I’ve used DSLRs for a decade now, including my 6D for five years. In that time, I’ve never had an accident with it. That is, until now. I was out filming on a windy day and I didn’t put enough weight on the tripod. The wind caught it and over it went, lens first. Luckily, it was nowhere as bad as it could have been. I put a UV filter on the front of all of my lenses in an attempt to protect them. 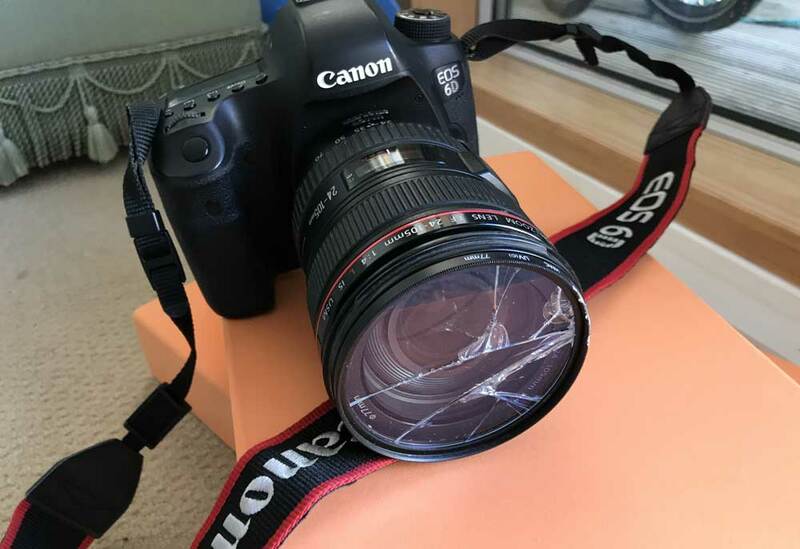 It worked: the filter smashed but the lens underneath it surprised. So, a quick repair at the local camera shop, a new UV filter and a new lens hood and the camera was as good as new. What should we learn from this? Weight your tripod and make sure you have a filter on the front of your lens, even if it is only there for protection. This entry was posted on Wednesday, March 7th, 2018 at 11:00 am and is filed under Life. You can follow any responses to this entry through the RSS 2.0 feed. Both comments and pings are currently closed.